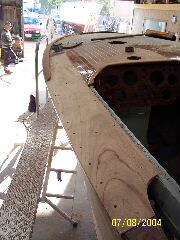 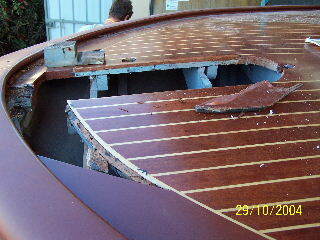 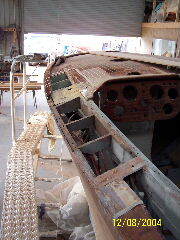 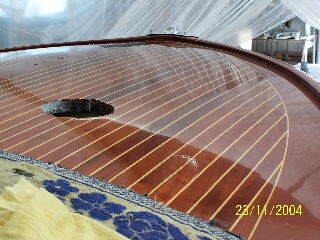 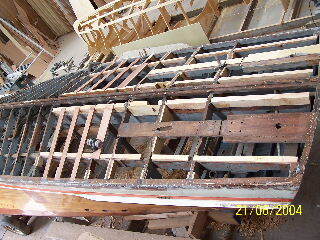 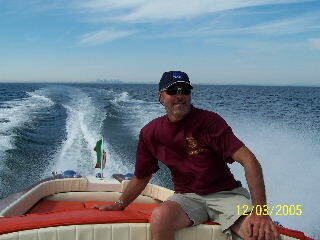 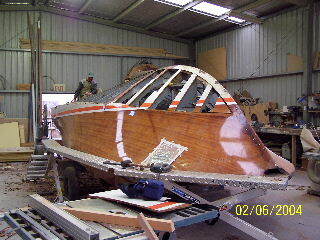 "La bella barca di legno" more than adequately describes the completed major restoration of this beautiful wooden boat. 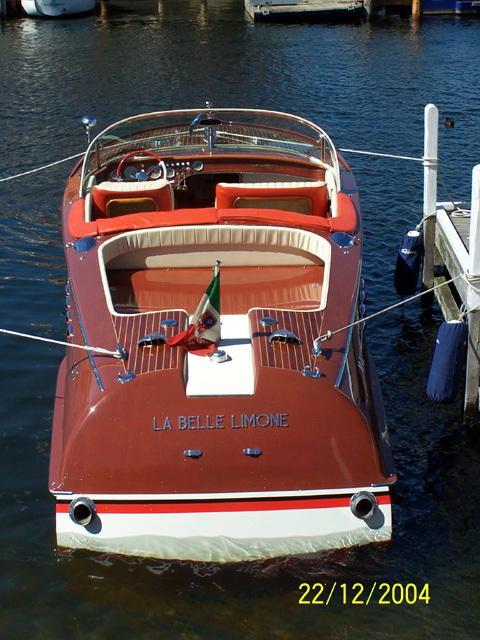 Owner Greg Sinclair entrusted his beloved but very tired 35 year old Riva to the Frecheville crew for a total restoration involving a new bottom, hull and deck repairs, rewiring, engine overhauls, staining and varnishing, re chroming and reupholstering. 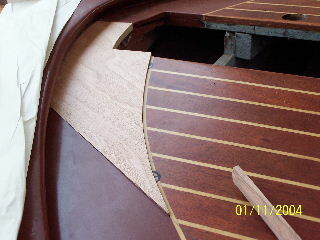 The project took nearly 9 months and was completed for a 2004 Xmas delivery. 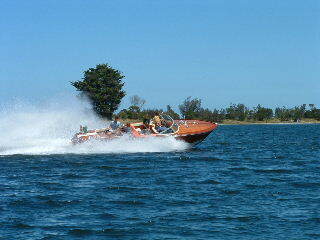 It was an absolute delight blasting around the Gippsland Lakes for the seatrials prior to trucking the boat to its home at Pier 35 in Melbourne. 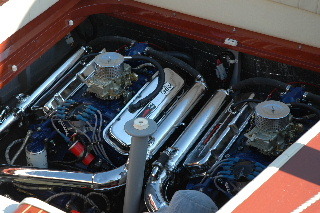 And it has been a delight since to hear the roar of the twin 454 Chev V8 as Greg and friends have boogied around Port Philip Bay.